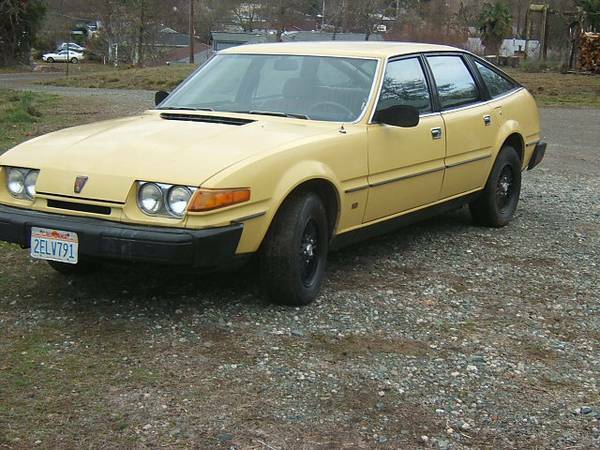 Rover will be forever forgotten in US car history, but for a few nutcases who cling on to one of the thousand SD1s built for the US market, or any of the earlier cars. However, they really do deserve to be remembered for what is arguably one of the most successful designs for a 4-door fastback sedan. Inspired by the Ferrari 365 Daytona and a Pininfarina BMC study, it had a swooping roofline before that trend was “started” by Audi and others in the late 1990s. And somehow, among other fastback contemporaries like the Lancia Beta sedan, the Saab 99/900 5-doors, and the Chevrolet Citation, it managed to be long, low and elegant where the others were rather gawky. 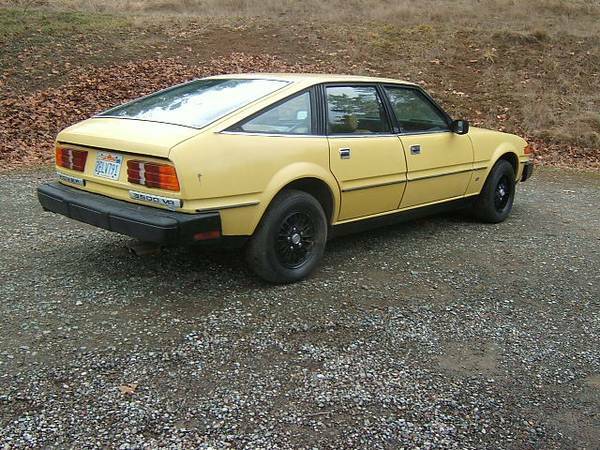 You can find this 1980 Rover SD1 3500 for sale for a mere $850 in Mendocino County, north of San Francisco, CA. Who knows why so many of these showed up on these shores in this mustardy yellow color – something darker and richer would be more appropriate for a car of its status with such an angular design. While it may not be your first concern, those wheels need a more creative solution than the recently-trendy black paint. 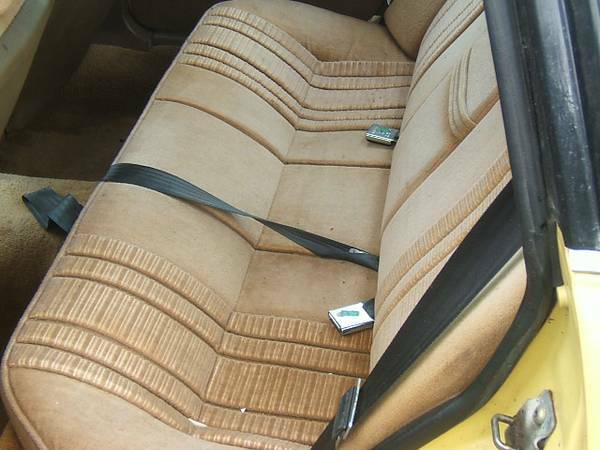 The rest of the car seems remarkably straight, clean, and original – many of these are faded and beaten after 34 years. The interior is said to be in good shape in the rear, and poor in front. 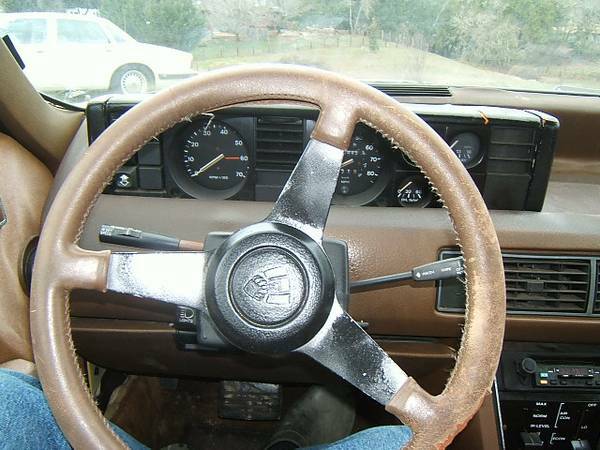 Judging by the photo of the steering wheel with a chunk out of it below, you’ll want to have a couple of contacts in England send you some parts, including a set of home-market headlamps. The car is said to be missing a headliner, while the body is apparently rust-free. There are roughly $850 in DMV back fees due, so your true cost of acquisition is $1700. Here’s the creative export dash – Rover designed them such that there was only one type of dash for right and left hand drive, and only a few parts (steering column, instrument pod, etc.) were moved over to the appropriate side. The binnacle appears to have some cracking, but if they’re truly the same everywhere, you should be able to source one from the UK. The car is said to be clean, rust-free, and original underneath, and to have a new stainless exhaust. Its last successful smog test was in 2001, so unless you want to retain the California sunset plates, you might just “lose” them and re-register the car on new plates. While the car runs okay, it has bad brakes and old tires, so hasn’t been driven very far by the seller. The car is said to smoke due to a failed vacuum modulator on the Borg-Warner BW 65. All in all, while some of the trim and interior bits might be hard to replace, the basic car is pretty straightforward, and the V8 might give a little more power with some modern catalytic converters. And just to make sure nobody missed it the last time – why wouldn’t you drop in a later, bigger Land Rover V8? This entry was posted on March 17, 2014 at 4:02 pm and is filed under Feature. You can follow any responses to this entry through the RSS 2.0 feed. You can leave a response, or trackback from your own site. That is without a doubt the nicest and most expensive one I’ve ever seen…for some reason the paint looks a little dull, but perhaps that’s just the weather.